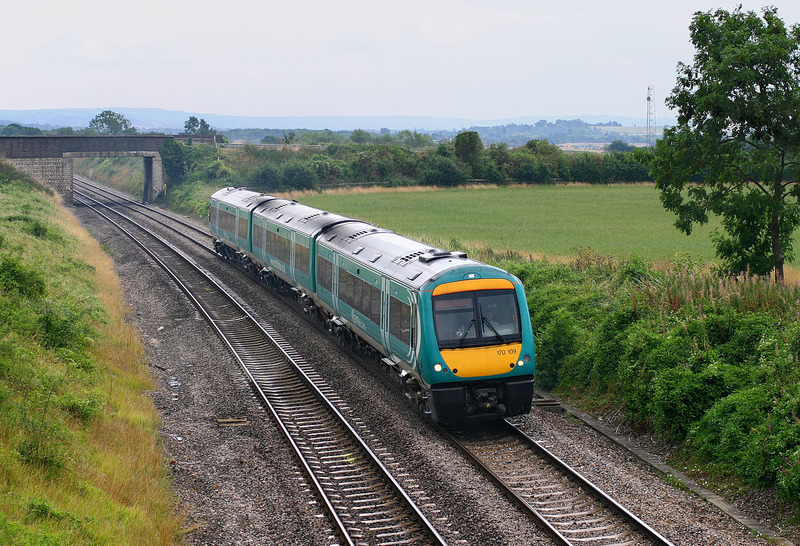 170109 passes Croome on 18 August 2006 with the 14:45 Cardiff Central to Nottingham Central Trains service. A dull day has allowed this unusual viewpoint. The usual position for photographers is the roadside directly above the rear two coaches, looking towards where I am standing.